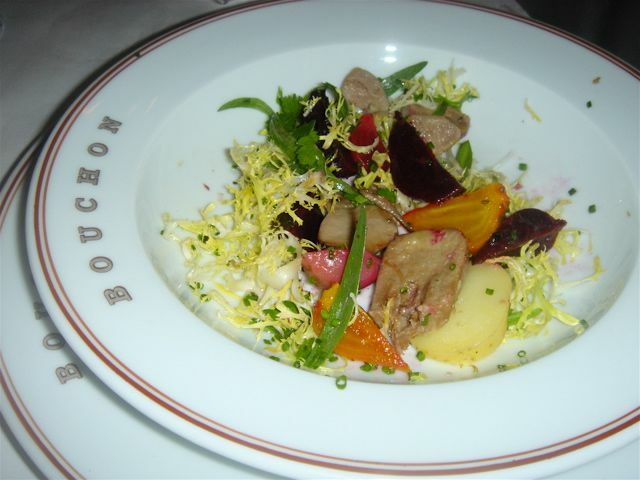 Bouchon is Thomas Keller’s bistro in Yountville. 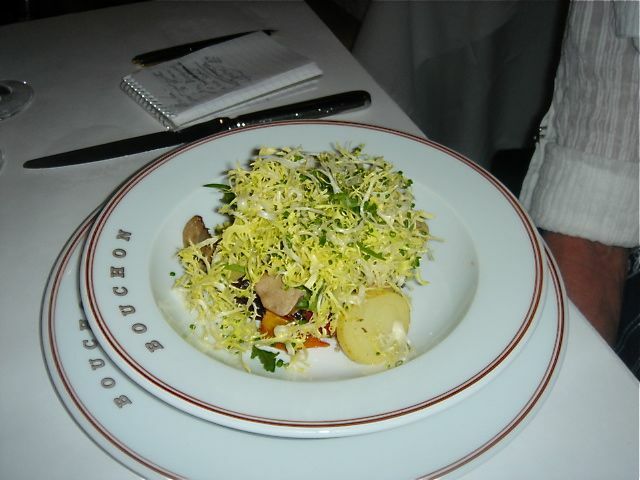 It is a perfect restaurant with delicious food. 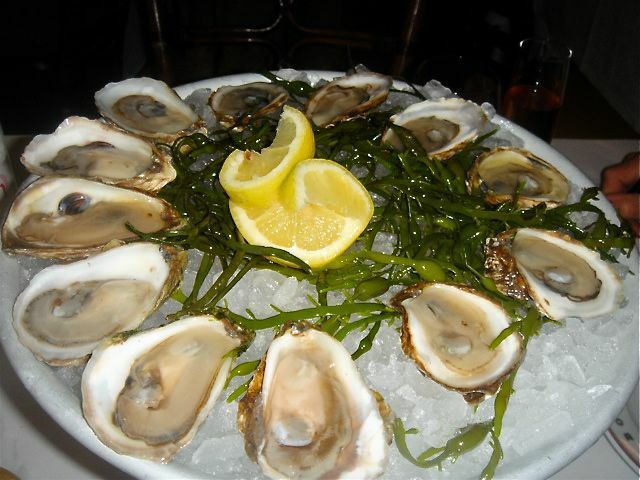 A dozen oysters – split between the 2 of us – 6 St. Simon oysters from New Brunswick and 6 Tatamagouche Oysters from Nova Scotia. 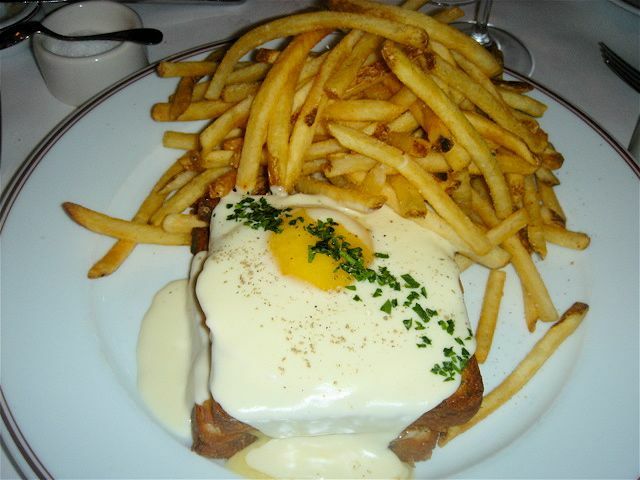 My husband had his usual of Croque Madame – toasted ham and cheese sandwich on brioche with a fried egg and mornay sauce served with french fries. 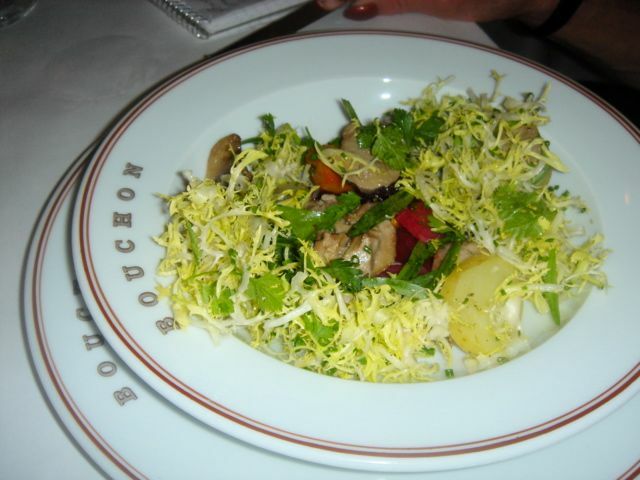 I had the lamb’s tongue salad with frisee. As you look at the photos you will see it as first presented, then deconstructed a little and then the final deconstruction – absolutely perfect. 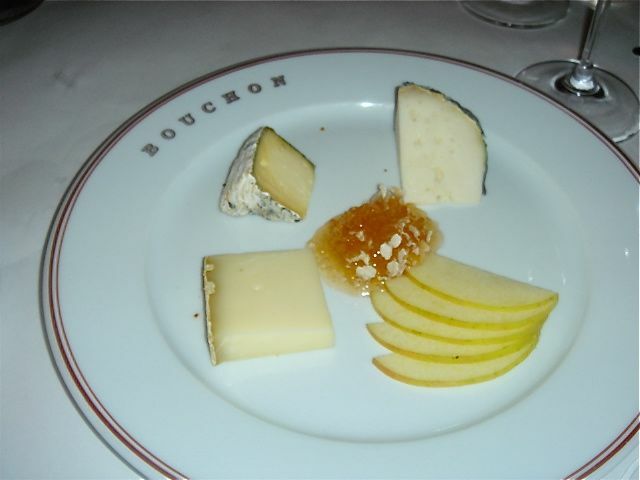 Cheese for dessert from Sally Jackson. A perfect lunch with gracious service.